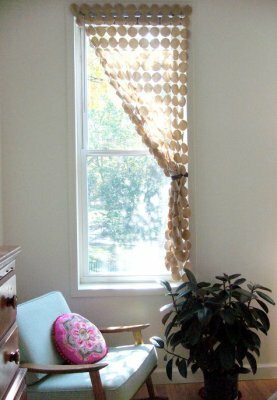 Sew a set of these extremely simple curtains. These curtains let the sunlight through nicely while still framing the window as curtains. They are made from felt fabric.